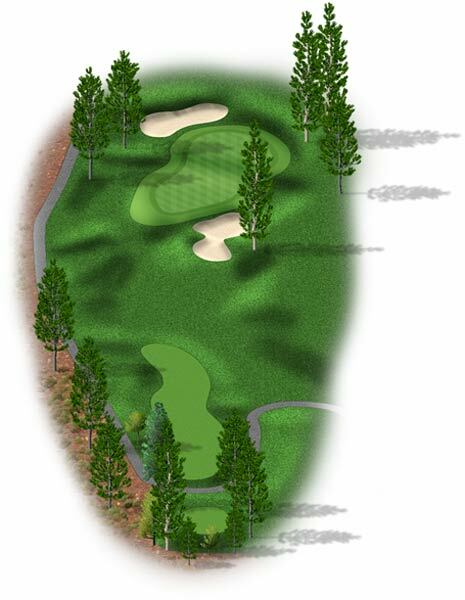 Description: Tee shot should favor the left side of this fairway avoiding the fairway bunkers on the right. This will leave you a good angle to the green. Description: Stay down the middle on this fairway. If you lay up on the approach, keep if short of the fairway bunker. 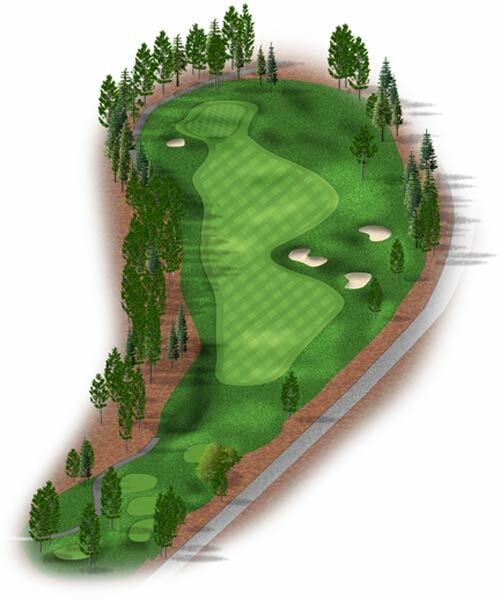 Description: Your tee shot should favor the right center of this fairway. This will offer you the best angle to the green. 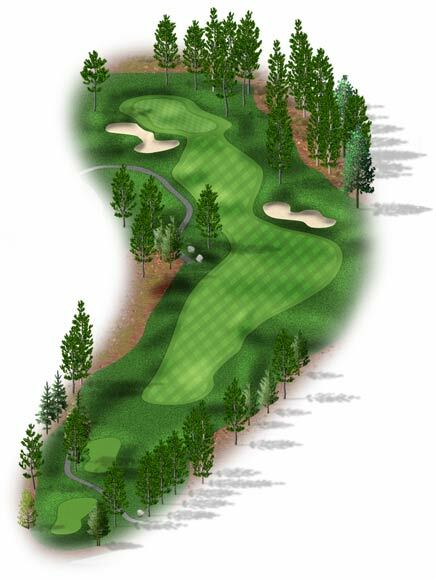 Description: The desired tee shot is a short iron that cuts and holds. 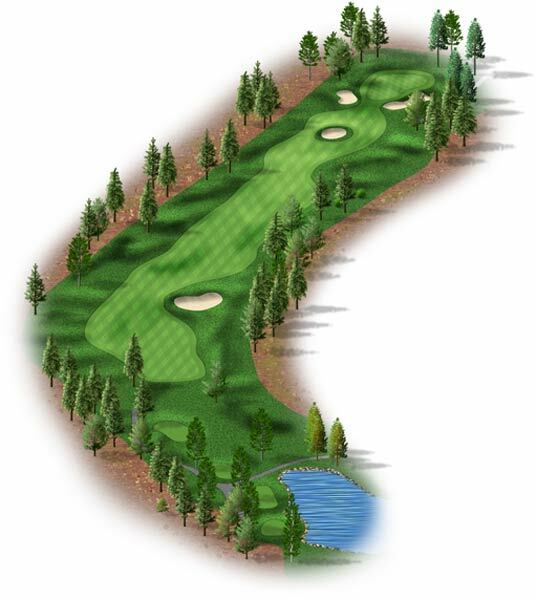 This will help you avoid the large pine tree that protects the right side of the green. 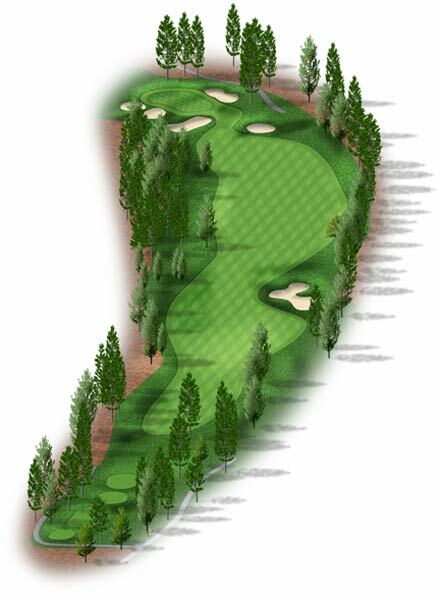 Description: This is a reachable par 5. 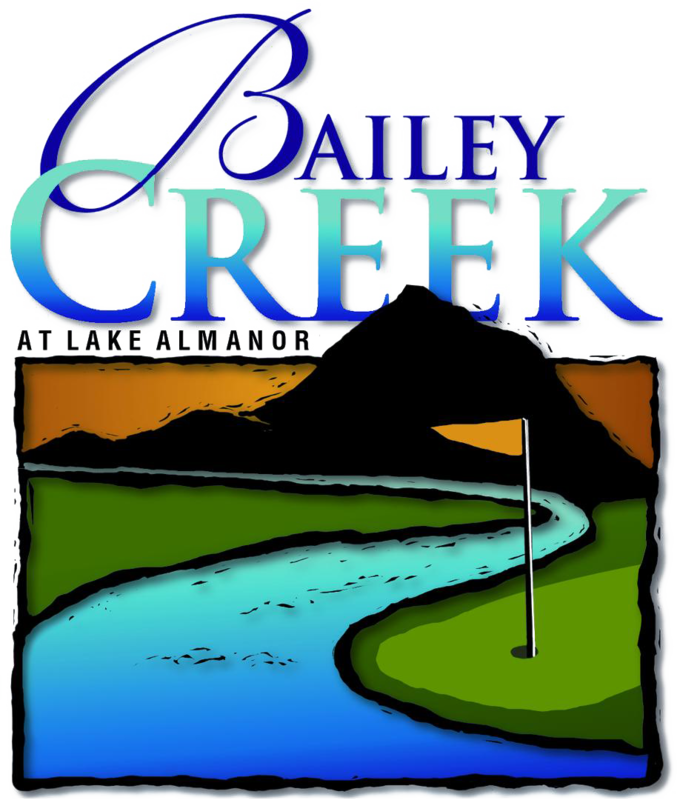 An ideal tee shot favors the left side of the fairway. From there you’ll have a good look at the green. 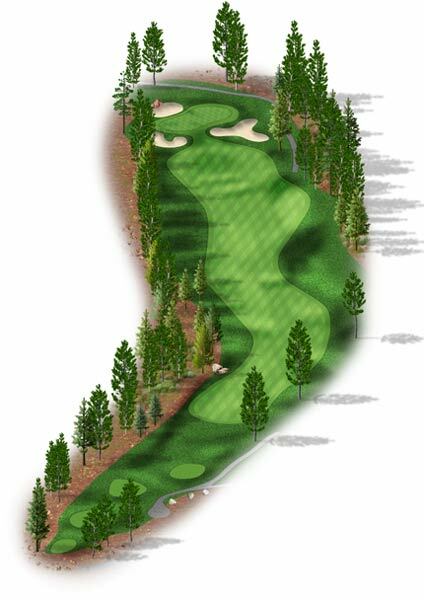 Description: Keeping your tee shot just left of the towering pine offers the best angle to the green. 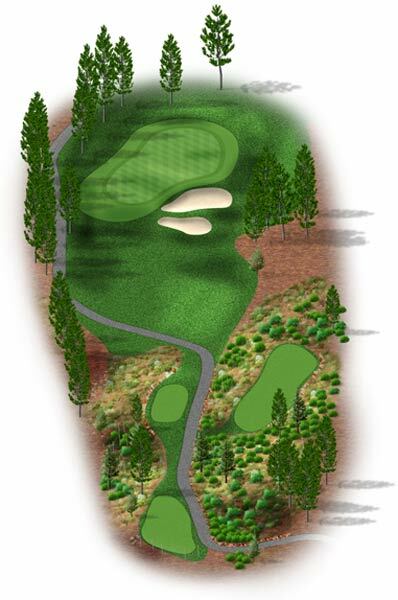 Description: This demanding par 4 requires a tee shot that works left to right. Pin pint accuracy is required to attack the pin. 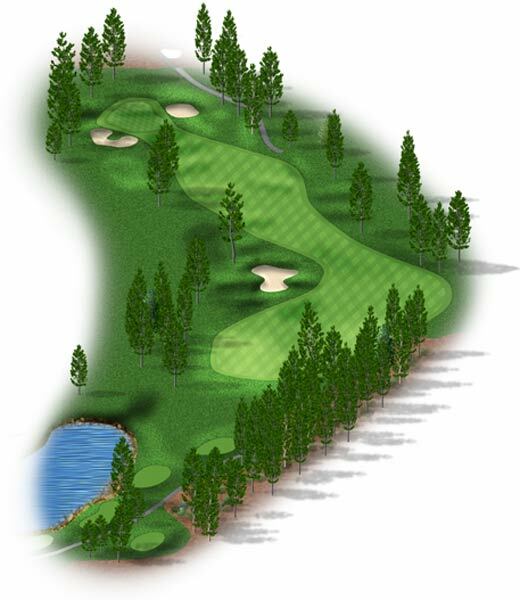 Description: This hole has a large green, but any wind can make club selection a challenge. Generally, the wind comes into you. Description: Aim tee shot straight down the middle. Check yardage carefully to the green if you want to hit it tight. 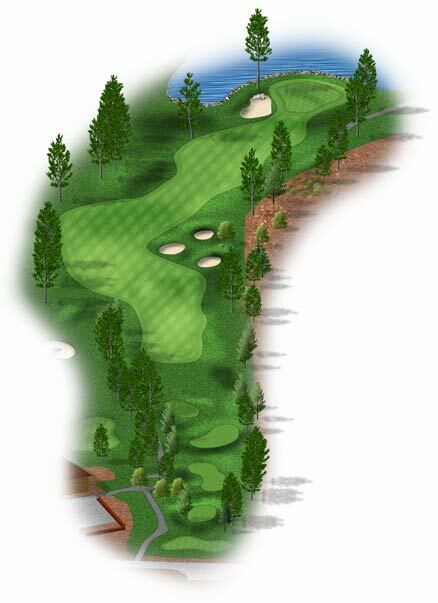 Description: Aim your tee shot just left of the fairway bunker on the right. Your second shot should lay up short and left of the fairway bunker. This offers the best short angle to the green. 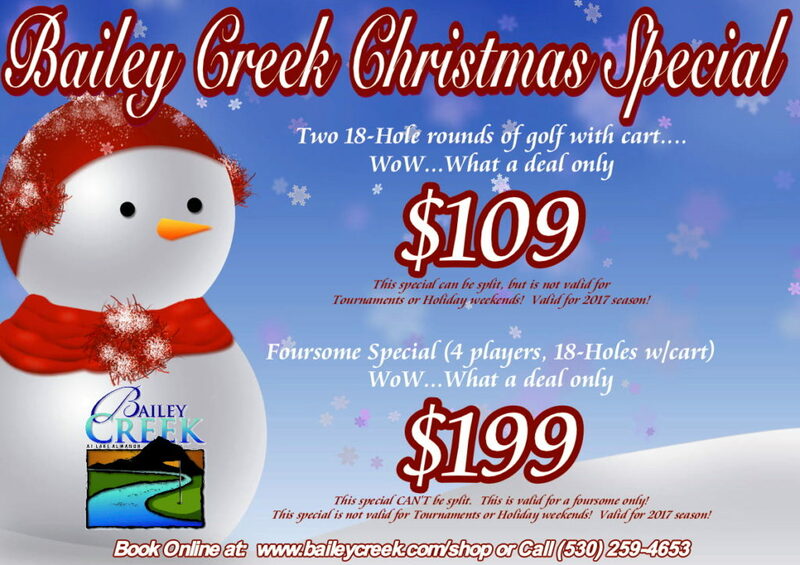 Description: Driver or 3 wood just left of the fairway bunker is ideal. 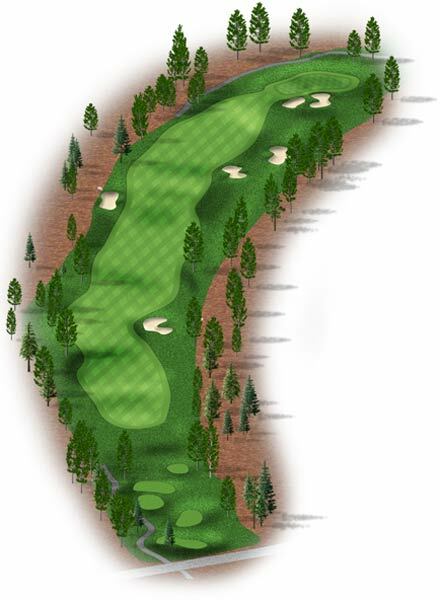 Your second shot should be played to the right side of the green to avoid trouble. 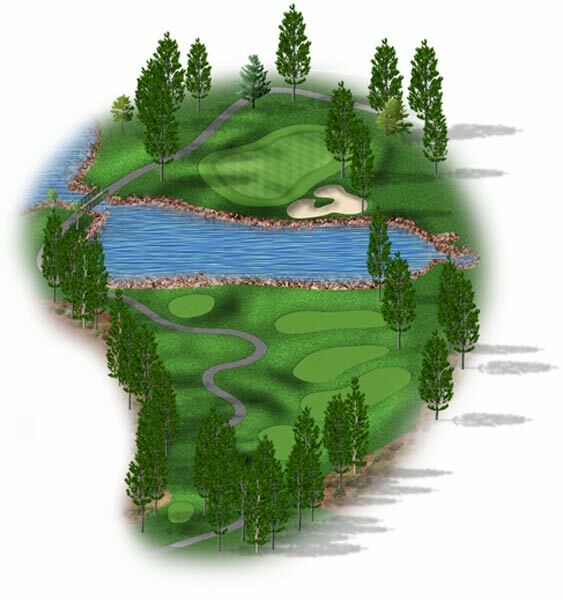 Description: The ideal position is to favor the left side of the fairway. From there you have a good look at this green. 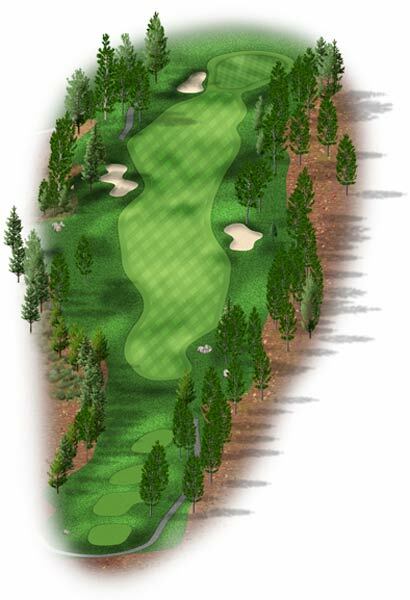 Description: Club selection is critical to this green. Both bunkers can present a difficult up and down. 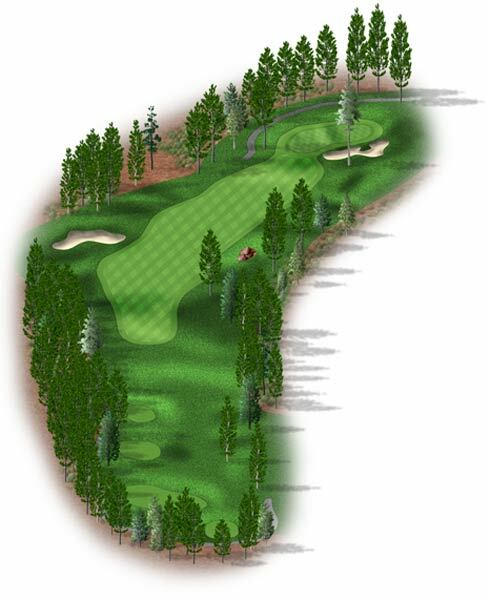 Description: A demanding par 4 that requires a tee shot that works from left to right. Second shots should avoid the left side bunker at all cost. Description: Aim tee shot just left of the fairway bunkers. Second shots should favor the right side of the green. 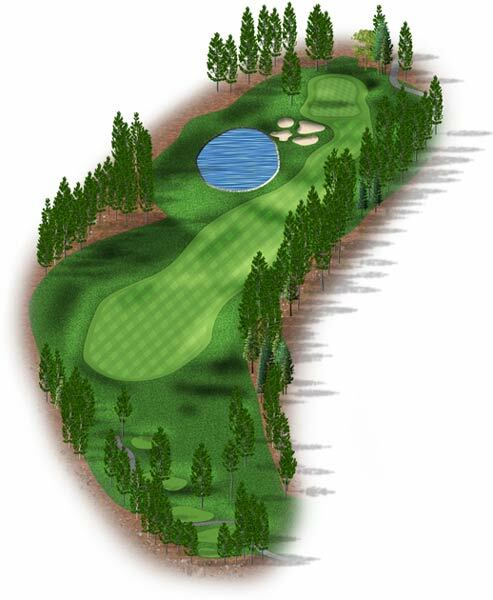 Description: Favor the right half of the green. Avoid greenside bunkers at all cost. 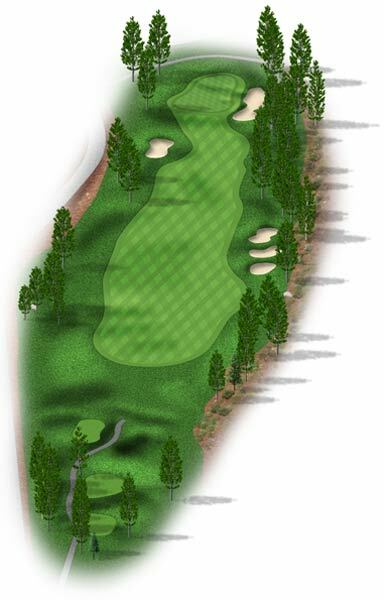 Description: The ideal tee shot should be played just left of the fairway bunker. 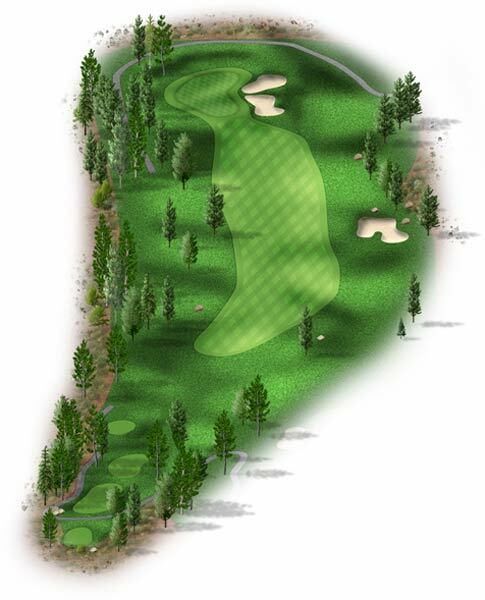 Your second shot should favor the left side of the fairway allowing for a good angle to the green. 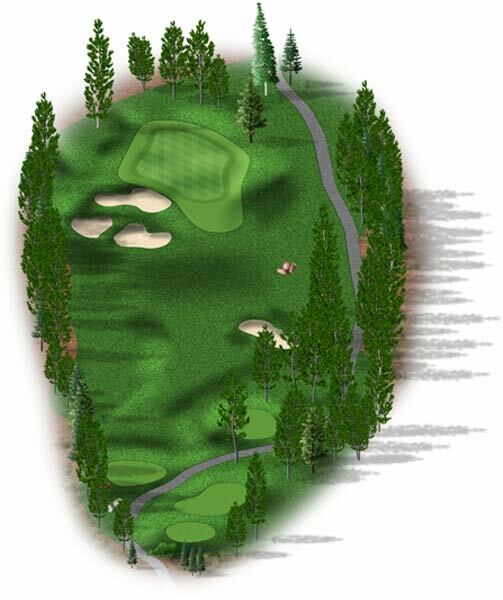 Description: A drive placed at the right edge of the bunker is ideal. Long hitters may want to try to fly the fairway bunker leaving them a short iron to the green.